Now that spring has sprung, retailers are hyping their weekly sales with supposedly deeper discounts and big savings events. Some of those deals aren't quite what they claim to be, but there are still some pretty good buys. Today, Best Buy is selling Lenovo's Flex 4 convertible laptop for $280 instead of the usual $399. 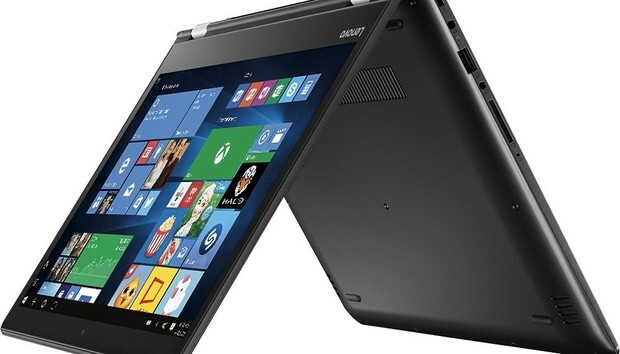 This clamshell features a 14-inch touchscreen display with 1366-by-768 resolution, 4GB RAM, and a 500GB hard drive. The processor is a Skylake-era 2.10GHz, dual-core Intel Pentium 4405U with Intel HD Graphics 510. You also get one USB 2.0 and two USB 3.0 ports, HDMI out, a media card reader, Ethernet, 802.11ac Wi-Fi, a webcam, and Bluetooth. As this is a 2-in-1 machine, the laptop's display can rotate around to create the usual form factors, including tablet, tent, and standard laptop. Despite the use of a spinning hard drive, this laptop is pretty light at 3.86 pounds. It's not clear how easy it would be to replace this unit's hard drive with a faster SSD, though. Lenovo's laptops are generally DIY friendly, but if you plan to swap out with an SSD, make sure you research how easy it is to replace this model's hard drive.